If they had these in my size I would’ve bought them on the spot! Love them! Surprisingly, I have a pair very close to these! Woo hoo, feeling fashionable Then I googled the leopard print flats…Alex great post; your wallet isn’t the only unfortunate one after you share your post! Looking forward to next Friday morning. These shoes were a good choice. 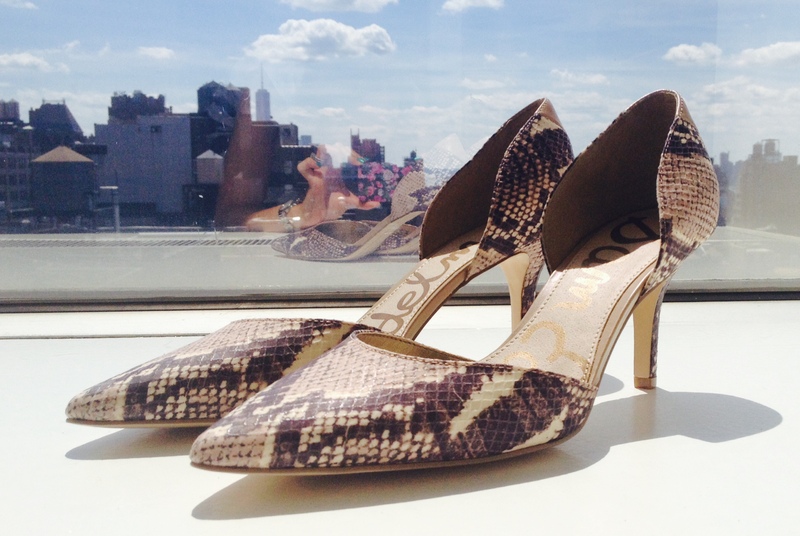 I am now encouraged to experiment with a snake print heel for the fall. Also, the height of the heels appear to be very manageable for the office. Thanks for sharing!